The art of mindful eating centers around asking ourselves how we feel, writes chef Irene Li. 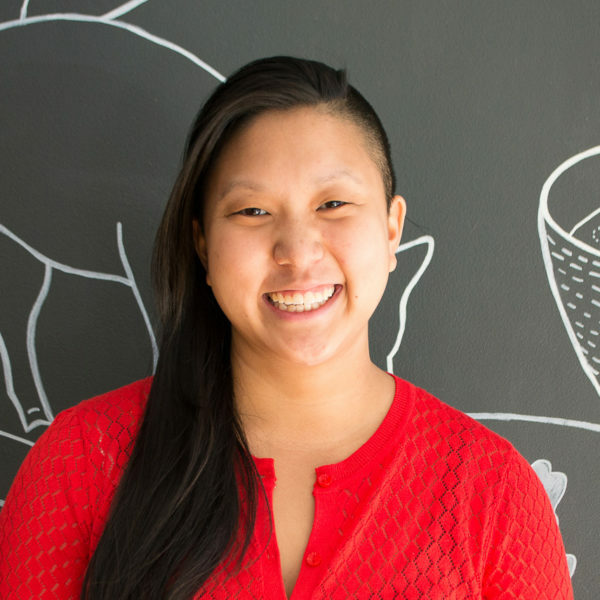 This is the first of a new food and culture column from Irene Li, chef and co-owner of Mei Mei in Boston, that explores food and the role it plays in our lives. Can mindfulness culture help us let go of diet culture? It’s mid-January — resolution hell — and most of our New Year’s demons are about weight, food, diets and health, regardless of how much we actually weigh or how healthy we already are. 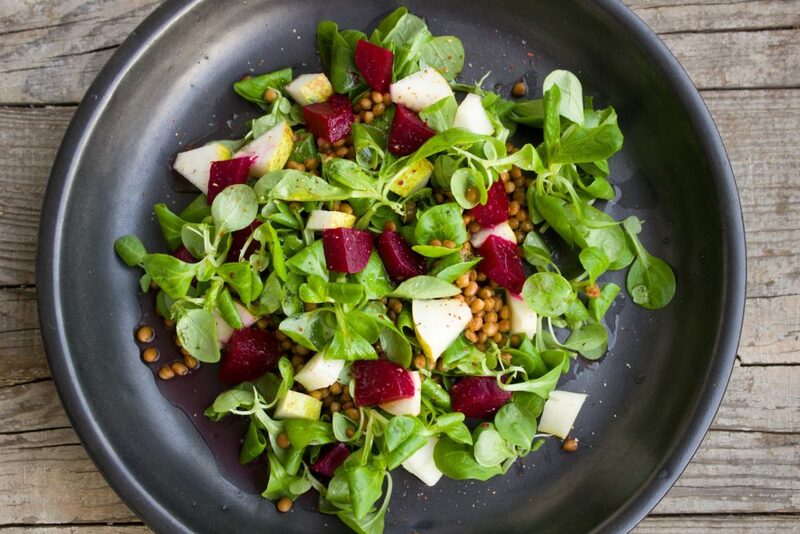 We stand in longer-than-ever lines at our favorite fast-casual salad restaurants, but most of us know, from literature or personal experience, that fad diets and restrictive eating covenants don’t really work and that lost pounds tend to come back with a vengeance. We’re familiar with the cycle of temptation, shame, self-hatred and overindulgence for which we’re gearing up. We can see that our habit of casting some foods as “clean” or virtuous and others as “bad” or even evil is at best, a dangerous oversimplification, and at worst, the insidious hand of a Euro-centric and classist modern diet culture that exploits our insecurities to make money for big diet business. But year after year, so many of us make the same resolutions, typifying the definition of insanity: doing the same thing, and expecting different results. Over several years of working with food and fighting for a healthy relationship with it, I’ve hit these walls plenty of times. Why do we torture ourselves over what we eat? Sure, we resolve to get fit, lose weight, exercise more and live longer, but those goals in and of themselves don’t tend to produce sustained motivation, even with measurable targets. They’re also not really why many of us want change in our lives, I suspect; underlying many of our lofty resolutions is our desire to simply feel good, enjoy our lives and like ourselves. That kind of growth isn’t necessarily about what we do, how we look or what we weigh (for some of course, those changes are necessary and significant). But success does require one thing: changing how we think, especially when it comes to food. At the peak of diet season, that feels awfully abstract. Fortunately, now more than ever, we’ve bought into an increasingly popular concept that’s all about changing how we think: mindfulness. Though mindfulness and its corollaries — meditation, positive thinking, breath exercises — are still in need of further research, our obsession with it is well-established. School curricula, executive trainings, phone apps and even books by sitting congressmen extol its virtues. For many of us feeling trapped by diet culture, it may provide an escape hatch: pay less attention to harmful cultural norms about food and fat and stop listening to celebrities, advertisers and others who might convince us that we need to change our bodies. Instead, let’s pay attention to what we eat and listen to our own bodies. That’s what proponents of “mindful eating,” “intuitive eating,” the “self-compassion diet” and other "anti-diets" call for. Research suggests that we make over 200 decisions about food every day, so it’s no wonder that our fraught relationship with the cheesecake in the fridge or the McDonald’s on our commute homeward, multiplied by one or two hundred, can have a significant impact on our lives. We make most of these decisions mindlessly, habitually, without even noticing. It stands to reason, then, that adjusting the way we think when we eat — or simply thinking at all — could be a gamechanger. Mindfulness alone is not a solution to health problems and diet culture, but it’s a practice rich with potential. Those of us who work with food know that there is so much to notice, know, and understand about it. Mindfulness around food can look different for everyone, especially given the variety and number of "anti-diets" or philosophies that embrace it as a core concept. Intuitive eating’s key recommendations orient us around “getting well”: practice evaluating how hungry or full you feel, focus on the act of eating instead of multitasking, and mentally "legalize" food that might previously have been off-limits, allowing yourself to eat any food with intention. For some, mindfulness is an alternate path to wellness; for others, it’s simply a more connected way of experiencing life. Like Marie Kondo’s art of tidying, the art of mindful eating centers around asking ourselves how we feel. We might practice being mentally present by saying grace at the table, or by learning about how our food was grown or prepared. We might simply talk about the food as we eat it. And if we have the means and motivation to do so, we might ultimately find ourselves making choices that are better for our bodies, our society and our natural world. Something as simple and ordinary as drinking a cup of tea can bring us great joy and help us feel our connection to the Earth… Looking deeply into your tea, you see that you are drinking fragrant plants that are the gift of Mother Earth. You see the labor of the tea pickers; you see the luscious tea fields and plantations … you know that you are drinking a cloud; you are drinking the rain. So if you’re done trying a new diet every January, adding mindfulness to your repertoire might feel more sustainable, and could have different results. Paying attention to our lives and our selves is not a fad.